I-95 Car Accident In Fort Lauderdale Sends Three To Broward Hospital | Schuler, Halvorson, Weisser, Zoeller & Overbeck P.A. A two-car accident on I-95 in Fort Lauderdale injured a man from Palm Beach Gardens, but his injuries could have been much worse, according to the CBS 4 news website. 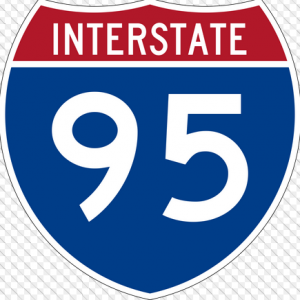 The 21-year-old was reportedly traveling north on the interstate around 6:00 a.m. when he crashed while exiting I-95. The ramp requires a right or left turn. He failed to do either and his vehicle collided with another vehicle. Both drivers and a passenger suffered injuries in the two-vehicle accident. First emergency responders arrived shortly after the crash happened. Following the Broward County accident on I-95, the two drivers and a passenger were taken to Broward General Medical Center for the treatment of major injuries. It is unclear if visibility or alcohol contributed to the car accident in Fort Lauderdale. Police said the cause of the crash remains under investigation and no other details will be released until the investigation is complete. The two vehicles involved were structurally damaged. This was the result of the severity of the impact of the crash. Authorities were seen clearing the debris from the scene of the accident. Investigations are ongoing. Several lanes were blocked during the police investigation, snarling traffic. Drivers are advised to use alternative routes. Attorney Jason Weisser of Shuler, Halvorson, Weisser, Zoeller and Overbeck responded to this unfortunate accident: “This is an unfortunate crash here in South Florida. We hope that the injuries to all involved are not too serious and that they quickly recover. We also hope that everyone that was injured in this crash speaks to an experienced trial lawyer. In our opinion that would also be a local, South Florida Attorney. Please be careful whenever you are driving a motorcycle, car, SUV or truck. If you have been injured in an accident, call my office for a free consultation to find out what are your rights”.